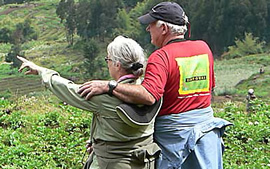 This 10 Days Rwanda Uganda Gorilla safari is an exceptional package offering you with double gorilla trekking in volcanoes national park ad Bwindi impenetrable forest national park, double chimpanzee trekking in Nyungwe forest and Kibale forest national park and wildlife safaris in Savannah national parks in Rwanda and Uganda respectively. The tour starts in Rwanda ending in Uganda. After breakfast, enjoy a scenic drive to Nyungwe Forest National Park with en route visit to Nyanza king’s palace, Butare national museum. Dinner and overnight stay at Nyungwe Forest Lodge (luxury)/Nyungwe Top View Lodge(deluxe)/Gisakura Guest House (budget). 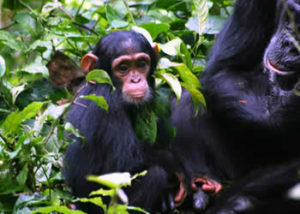 Take your breakfast before 6.00 am and embark on chimpanzee trekking in Nyungwe Forest. Expect to encounter other primates such as colobus monkeys, vervet monkeys, baboons among others as well as forest birds, and butterflies. In the afternoon, go for a canopy walk which will provide you with spectacular aerial views of the entire national park and wildlife. Return in the evening for Dinner and overnight (as in Day 1). You will wake up early, have breakfast, check out of the lodge and have a scenic drive northwards to Volcanoes national park in Ruhengeri, home to over 360 Mountain Gorillas. Dinner and overnight stay at Mountain Gorilla View Lodge/ Da Vinci gorilla Lodge/ Gorilla Solution Lodge. In the morning at 7:00 am, assemble at the park headquarters for a briefing along with your trekking gear, drinking water and packed lunch. Transfer to the forest to track the gorillas, an activity that will take you between 1-8 hours depending on the movement of the apes in their natural wild. After meeting and staying in the presence of the gorillas for a maximum of an hour, return to your lodge for relaxation. In the evening, you may go for a cultural walk to Ib’iwachu Cultural Village. Dinner and overnight stay at Mountain Gorilla View Lodge/ Da Vinci gorilla Lodge/ Gorilla Solution Lodge. In the morning, assemble at the park headquarters for briefing, and later Either go for golden monkey tracking or hike up to Karisoke research centre, established by Dian Fossey, an American primatologist who dedicated all her life conserving the lives of mountain gorillas until she was killed and buried next to Digit, a silverback gorilla she loved most. You will learn more about the lives of the mountain gorillas at the research center. On return, cross over to Uganda’s Bwindi impenetrable national park (Ruhija sector), home to half of the world’s remaining mountain gorillas. 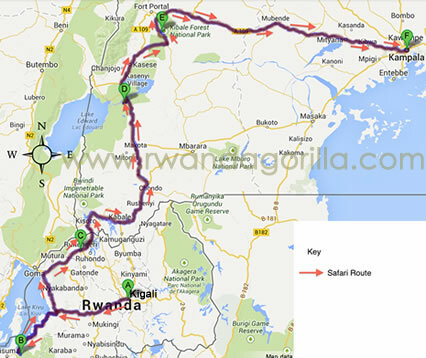 Dinner and overnight stay at Gorilla Safari Lodge (luxury)/ Gorilla Mist Camp /Deluxe)/ Bakiga Lodge (Budget). In the morning, assemble at the park headquarters for a briefing from the park rangers about the dos and don’ts while with the gorillas. Proceed for the memorable adventure in the forest, an activity that may take 1-6 hours depending on the movement of the gorillas in the wilderness. 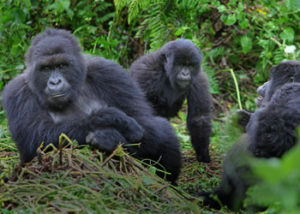 Meet and stay with the mountain gorillas for a maximum of an hour. Return to the lodge for lunch and relaxation. In the evening, you may go for a community walk in the nearby Batwa community, where you will be entertained and told the tales of their unique culture. Dinner and overnight at your previous night’s lodge.Dinner and overnight at Bakiga Lodge (mid-range), Gorilla Mist Camp/Gorilla Safari Lodge/Chameleon Hill Lodge(luxury). In the morning, transfer to QENP via Ishasha sector in search for tree climbing lions. Proceed to the park headquarters at Mweya Peninsula for a boat cruise along the Kazinga channel. 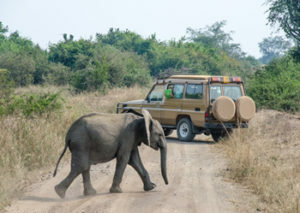 Expect to see Hippos, crocodiles, buffalos, elephants and a variety of birds. Dinner and overnight stay atMweya Safari Lodge(luxury) / Enganzi Lodge(budget) / Park View Lodge(Mid-range)</strong). Day 8: Game drive and Transfer to Kibale NP. Rise up to an early morning game drive anticipating to see early risers before they return to their hide-outs including lions, hyenas, leopards, and jackals. 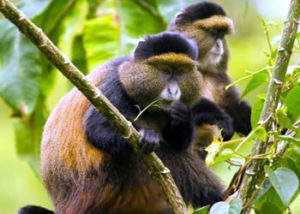 In the afternoon, transfer to Kibale NP, home to 13 primate species. Dinner and overnight at Crater Safari Lodge(luxury), Primates lodge(mid-range), Chimpanzee Forest Camp(budget). After an early morning breakfast transfer to the park headquarters for a briefing by the park ranger. The driver will drop you at the starting point of the chimpanzee trail and will be back to the same point to pick you when you are done with tracking. After lunch, enjoy a nature walk in Bigodi Wetland Sanctuary. Alternatively visit the “Amabeere ganyina mwiru,” a cultural rock shaped like a woman’s breasts. Dinner and overnight Crater Safari Lodge(luxury),Primates lodge(mid-range), Chimpanzee Forest Camp(budget). Day 10: Transfer to Kampala and departure. After a morning breakfast, transfer to Kampala for your evening flight at Entebbe airport. In Akagera national park, we use Ruzizi tented camp for high end and Akagera game lodge for a budget.